If your vehicle is involved in an accident the first priority after making sure nobody is hurt should be deciding if your vehicle requires towing. This will depend on how much damage has been done to your vehicle as well as whether your vehicle is causing a traffic hazard. Roadside assistance clubs such as RACQ provide towing only for breakdowns and insurance companies may not cover the cost of towing after an accident. Finding a reliable and reputable budget friendly towing service that you can call 24 hours 7 days a week anywhere on the Gold Coast means one less thing you need to worry about. 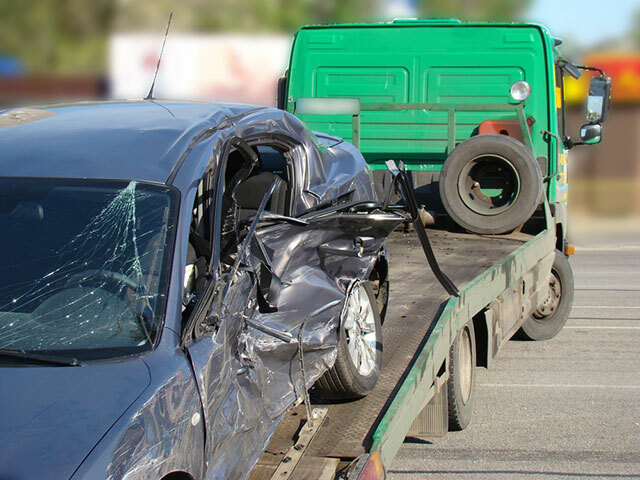 Whether you are able to make an insurance claim for a towing service will depend on who is at fault for the accident as well as the conditions of your insurance policy. Unlike many towing companies Cheap AZ towing specialise in towing for minor accidents as well as breakdowns. For most towing companies the priority is being the first tow truck on the scene for major accidents, which means smaller accidents and breakdowns get pushed to the bottom of the priority queue. If this happens you could be left stranded roadside for hours waiting for someone to tow your vehicle away. If you’re expecting an old man in dirty overalls to come to your rescue when you call us, you’re going to be pleasantly surprised. Our drivers are always well dressed and well-presented and take pride in making sure that they always do an outstanding job. We take pride in our work and we understand your need for towing is urgent no matter how minor the accident. We won’t leave you hanging around wondering when and if we’re going to show up and we’ll look after your car like a trusted friend. When you need a local towing company that you can trust to take care of your vehicle call Cheap AZ Towing. We are available 24/7 for emergencies anywhere on the Gold Coast.